The mortality rate is high in our familiar songbirds. 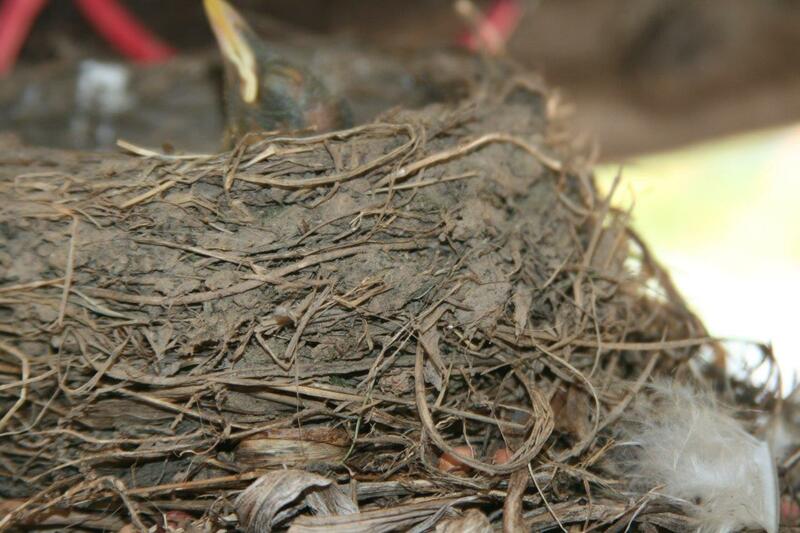 For robins, it's around 50% each year once young birds have fledged. If a robin survives to midwinter, it lives an average of 1.7 years after that. 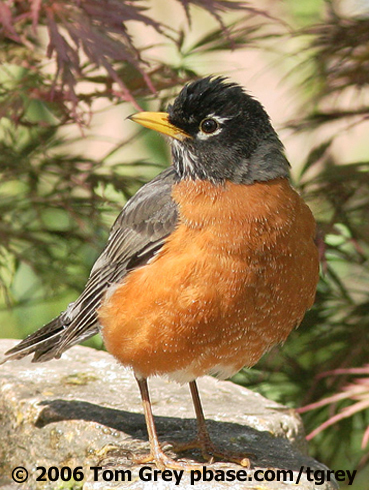 The oldest robins in your yard might be about six years old, although one banded bird lived almost 14 years. Robins don't maintain their pair bonds over the winter, so they mate anew each spring. But if the same male and female return to the same territory, they are very likely to mate again. Sign up for the BirdNote weekly preview email newsletter - the most colorful email you'll receive all week! How Long Does a Robin Live? 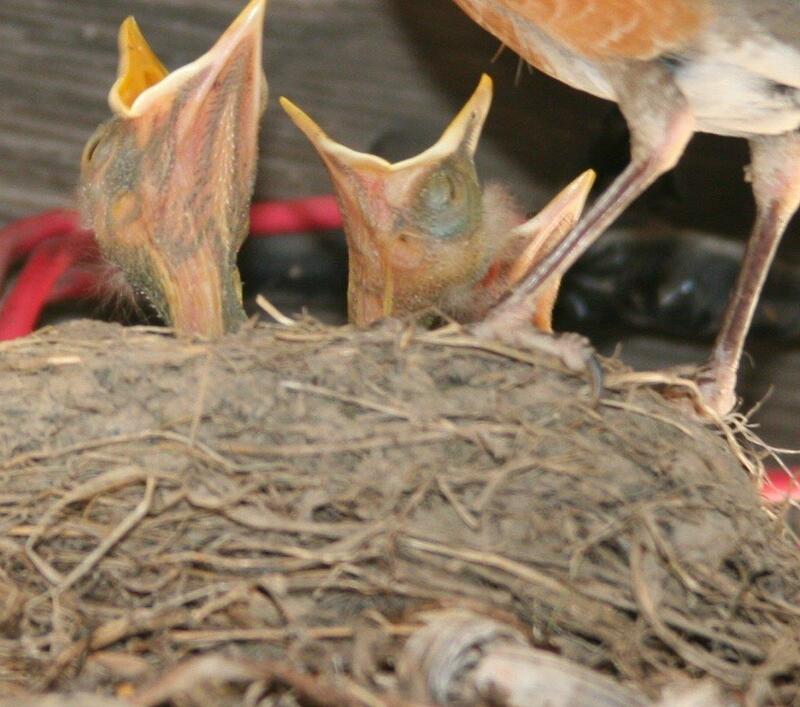 Let’s assume for a moment that you have a yard that a pair of robins has nested in for 12 years. You may be surprised to learn that it hasn’t always been the same pair! Mortality rate is high in our familiar songbirds. 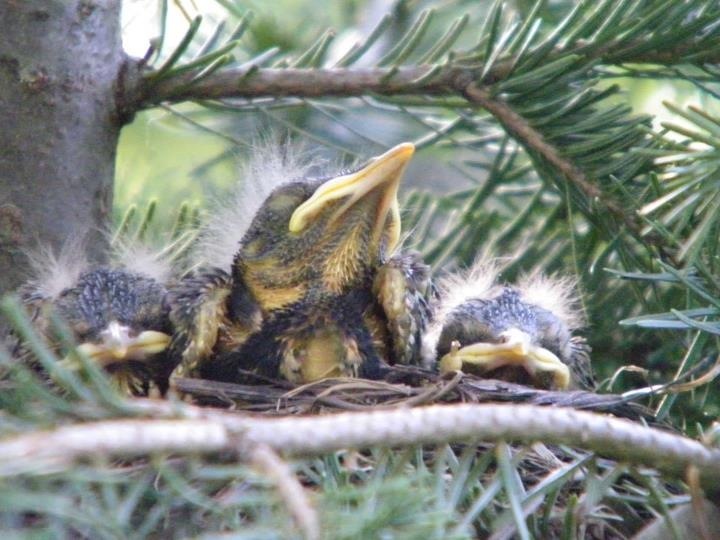 For robins, it’s around 50% each year once young birds have fledged. 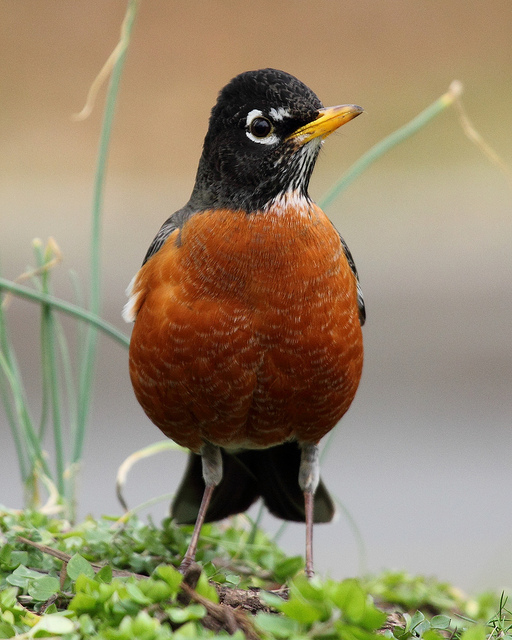 Robins and most other migratory birds don't maintain their pair bonds over the winter, so they mate anew each spring. But if the same male and female return to the same territory, they are very likely to mate again. To learn more, come to birdnote.org. I’m Mary McCann. Call of the American Robin provided by The Macaulay Library at the Cornell Lab of Ornithology, Ithaca, New York. Song recorded by W.L. Hershberger. Call by R.S. Little. Ambient recording by Kessler Productions. American Robin - More at All About Birds.